Many contemporaries and enlightened ones — Raman Maharshi, Meher Baba, George Gurdjieff and J. Krishnamurti — have worked with people, but people get more offended by you than by anybody else. 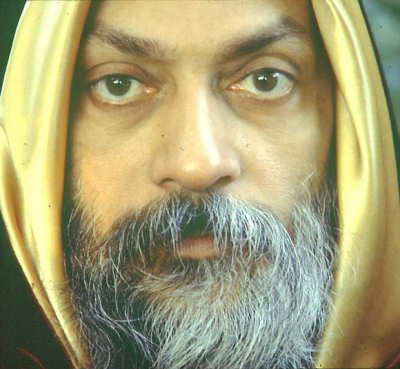 Osho, where does your technique differ from that of other enlightened ones? The question is very fundamental. It arises in many people’s minds, and it needs a very deep insight into the workings of different masters. We will take each of the masters named in the question separately. RAMAN MAHARSHI is a mystic of the highest quality, but a master of the lowest quality. And you have to understand that to be a mystic is one thing; to be a master is totally different.Out of a thousand mystics, perhaps one is a master. Nine hundred and ninety-nine decide to remain silent — seeing the difficulty, that whatever they have realized is impossible to convey in any possible way to others; seeing that not only is it difficult to convey, it is bound to be misunderstood too.Naturally, one who has arrived to the ultimate peak of consciousness will most probably decide not to bother with the world anymore. He has suffered for hundreds of lives living with these miserable people, living with all kinds of misunderstandings, groping in the dark and finding nothing. And these blind people who have never seen the light all believe they know what light is. From ancient days, a philosopher has been defined as a man who is blind, in a house that is completely dark, searching for a black cat which is not there. And the search goes on…. After a long, long, tedious journey, someone has come to the sunlit peak of relaxation, for the first time is at ease with existence, and decides not to get involved with all kinds of blind people, prejudiced people, deaf people who are going to misunderstand you, who are going to misinterpret you, who are going to crucify you, who are going to poison you, who are going to do every nonsense that is possible against you. Why bother? You cannot blame those nine hundred and ninety-nine mystics who decide to remain silent. It is not their responsibility, it is not their commitment. They owe nothing to the world; why should they get unnecessarily into the mess, into the madhouse the world is? Raman Maharshi remained in his cave in the mountains of Arunachal his whole life, unconcerned with the world. He simply tired of it. Naturally, nobody is against him. He never says anything against any superstition, against any belief that is based on lies. He never criticizes any religion, any politics. He is not a revolutionary. He is not interested in transforming human beings, creating a better society. He is not even a little bit interested to share his experience. He is just like a well — if you are thirsty, you will have to find the way, you will have to find a bucket, you will have to find a rope, you will have to reach the water. The water is not interested in you or in your thirst. Naturally there is nobody who will criticize Raman Maharshi. He lived silently, peacefully — not against any vested interest, not in any way proposing a new man, a new humanity. He is fulfilled and contented; he is finished with the world. MEHER BABA is not finished with the world in the same sense as Raman Maharshi. But he is interested only in your spiritual growth — as if spiritual growth is something separate from the whole structure of society, religion, education, past, all the traditions, conventions. So he remains interested in your spiritual growth, but spiritual growth is a complex phenomenon — it is connected with many other things. Unless your conditionings are changed, unless your belief systems are changed, unless your mind is unburdened of the past — there are so many things to be cleaned — only then can the still small voice of your being be heard. Meher Baba takes spiritual growth out of context. Naturally nobody is against it. In fact, all the vested interests are tremendously respectful of such people, because they are continuously giving — without any intention on their part — opium to the people. They are giving the idea — which is false — that your spiritual growth is possible without going through a deep psychological revolution. Secondly, Meher Baba remained silent his whole life; he never spoke. All that is written in the name of Meher Baba is written by his secretary. Now, there is no way to know whether the secretary is writing from his own mind. Meher Baba used to have a small board with the whole alphabet on it just for small messages and things. You would ask for his blessings, and he would put his finger on the letters, „b-l-e-s-s-i-n-g“ — blessings are given. If he could give blessings on the board, he could have said yes or no on the same board, but he was never asked. In fact, the secretary may have been afraid he might say no. Now, who will be against this man? — who has not spoken, who is not against anything, anybody. His whole business is to help you spiritually — and that too only in silence; you can sit with him in silence. Now, there are very few people in the world who can understand silence. A master first needs to teach you how to be silent, and unless he is satisfied that now you are capable of listening in silence, listening to that which is not being said vocally, verbally, but only telepathically…. Meher Baba had never prepared anybody for telepathic transference of ideas. And to me it seems to be absurd. What is the need? — because even in telepathy you will have to use the same language. If I want to say something to you — whether I say it aloud so that you can hear or I say it silently so that you can hear only telepathically, it makes no difference. Unless I am trying to give messages which are secret, unless there is a certain conspiracy…. But around Meher Baba, nothing has happened. The man himself was of great importance, but he remained silent for the same reason as Raman Maharshi. But he could not stay in one place. He did not abandon the world completely. He was still thinking that some way could be found to approach seekers. He moved around the world in search of seekers, but I don’t think he found any. He found only worshippers who sang devotional songs to him, because they had their desires. And in the East it is believed that if the person who is enlightened blesses you, any desire is bound to be fulfilled. Existence can never say no to the enlightened consciousness. For the enlightened man, existence is always `yes‘; there is a deep synchronicity. So the people who gathered around Meher Baba were not seekers, they were people who wanted position, power, money, prestige — all the wrong kinds of people. And because he was engaging people in wishful dreaming and not saying anything, he was not against the vested interests. Why should any government be against him? Why should any religion be against him? There was no question — these people were harmless people. The third man on your list is GEORGE GURDJIEFF. He is the most unique master the world has ever seen, but his uniqueness created a distance between him and the normal humanity. All his methods were valid methods, but the journey was long and he made it even longer by the way he propounded it. In fact, that was one of his devices to find the real seekers. Are you ready to go to the very end of the world, or are you just a curiosity monger? — you will go a little way to know what this man is all about, waste his time, and then you will be back in the world. He would choose only those who are ready even to die if that is the only way to find the truth. Naturally he was surrounded by only a very small group of people. And he was also not interested in any social revolution. His whole interest was to crystallize a few individuals who were courageous enough, to give them their original face, to help them to know the ultimate ecstasy that existence makes available. But it is only for the chosen few. Not that somebody chooses them — but because only very few people are courageous enough to risk everything to find themselves, they become the chosen few by their own courage and their own daring. Naturally, no government was offended, no church was offended. If a man has collected two dozen people, the pope is not worried, the shankaracharya is not worried — he is not a competitor. And he worked personally with each individual — naturally he could not work with millions of people. So these people were just in the margin; their names can appear only in the footnotes. They don’t belong to the vast humanity — just on the fringes. Having small groups, they were not a danger to anybody. 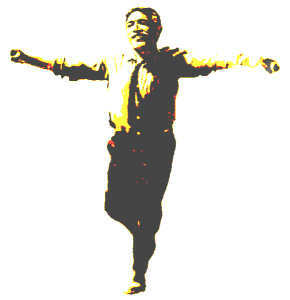 And the fourth man, J. KRISHNAMURTI, could have been a danger, could have been crucified — he had a far higher intelligence than any Jesus Christ, and far more intellectual genius than any Socrates — but because of a certain obsession, he became very much against organization. He was against all organizations. Naturally you would think that if he was against all organizations then all organizations would have been annoyed by him. But this was not the case, because he never created any organization of his own. A single individual for ninety years continuously went around the world. Who cares? Seven hundred million Catholics are going to bother about a single individual who is talking against organizations? And who is listening to him? In India he used to speak in New Delhi, Bombay and Adyar Madras. This is not India. Nine hundred million people don’t live in these three cities. And how many people in Bombay were listening to him? — never more than three thousand. And these three thousand were almost always the same people who had been listening to him for forty years, fifty years. He was saying the same thing all through his life, and the same people were listening. In fact, nobody was listening. And now that he is dead, ninety years‘ effort has simply disappeared into the air. Governments are against me because I am against them. Religions are against me because I am against religions. Political leaders are annoyed with me because I say they are mediocre, because I say only psychologically sick people become interested in power politics. People who suffer from an inferiority complex are the people who seek power, prime ministership, presidency. These people need to be in psychiatric hospitals, and they are running the world. I am against all religions because I am for religiousness, and religions are barriers to creating a humanity with a quality of religiousness. A Christian is not needed, nor a Hindu, nor a Mohammedan. These are the barriers to religious progress. What is needed is truthfulness, sincerity, silence, lovingness… a life of joy, playfulness… a life of deep search, inquiry into one’s consciousness. And these qualities have nothing to do with Christianity or Judaism or Jainism or Buddhism. Meditation is needed, but meditation is nobody’s monopoly. Naturally, all religions are against me, annoyed. Because I am the first man in the whole of history who is saying that religions are the barriers preventing humanity from becoming religious. They are not the vehicles of God, they are the enemies of God. Popes and Ayatollah Khomeinis and shankaracharyas — these are not the representatives of God; they may be representatives of the devil. Because these are the people who have divided humanity, and who for centuries have been continuously creating conflicts, bloodshed, wars, crusades, jihad, holy war, and all kinds of nonsense. In the name of religion, these people are oppressing humanity. I am against nations because I don’t see any need for there to be nations. Why can’t the whole planet earth be one single humanity? — which would be saner, more scientific, more easily controllable. Right now things are such that you can only say we are living in an insane world. Every three months the common market in Europe is dumping so much food in the ocean… mountains of butter! Last time they had to destroy so much food that the destruction cost was two hundred million dollars — it is not the cost of the food, it is the cost of destroying it. And just nearby in Ethiopia, one thousand people were dying every day. What kind of humanity are we living in? Half of humanity is dying in poverty. Every six months, America goes on throwing billions of dollars worth of food into the ocean, but they will not give that food to Ethiopia or to India or to any other country where people are starving and dying. Nobody cares about human beings; everybody cares about money. These money-minded people cannot be called sane: that food has to be destroyed; otherwise the market prices will fall, and they don’t want their prices to fall. They want their prices to remain stable, so the food has to be destroyed. If the whole world is one, things can be very simple. At one time Russia was burning wheat in its trains instead of coal because coal in Russia is costlier, and they had an overproduction of wheat. In India, people were dying because wheat was not available. Coal we have enough of, but you cannot eat coal. If the world were one, then the coal from India could go to Russia and the wheat from Russia could move towards India. There is no need of nations.These are the hangups of the past. And if there are no nations, there is no need for armies. Right now, seventy percent of the budget of every country goes to the military; seventy percent to the military which does nothing except left, right, left, right, polishing their guns, their shoes, their buttons — that’s all they do. And all over the world, seventy percent of the budget goes to the military and whole countries have to live on thirty percent of their budget. If the nations disappear, one hundred percent of the budget is available for the whole country — because the armies are useless. Right now there is no problem of there being any war with any planet. With whom are you going to fight? So what is the need to polish your guns every day? to polish your boots, and morning and evening, left and right? All these idiots who are doing this can be put into creative work. I don’t want any nations in the world. The world is one single humanity. I don’t want religions in the world. Religiousness is enough, more than enough. As religions disappear, millions of monks and nuns who are just parasites… They do nothing. That is another army that is sitting on the chest of humanity. They should disappear. They have renounced the world, but for their food, for their clothes, for their housing, the world has to work. It is a very strange thing: they will earn the virtue of having renounced the world; they will enter paradise. You will go to hell, because you provided food, clothes, shelter to these saints. And they have been simply condemning you! Strange logic. These people should go to hell — who have not been doing anything except condemning, calling everybody a sinner, creating guilt in everybody, destroying everybody’s integrity and self-respect. But these people will go to paradise. With religions disappearing, all these people can be put into creative work. There is no need of monasteries, there is no need of churches, temples, mosques. All these houses of God — and there are millions of men who don’t have any houses, who live their whole life on the street. The houses of God are empty — there is no God. All these houses of God can be made available to the homeless. All these monks can be put into creative work, all the armies can be put into creative work. And when there are no more nations, all dirty politics will have to disappear. Different arrangements can be made for managing the whole world — a world government based on merit, not dependent on votes. In the whole world there are thousands of universities. The world government can be left in the hands of the universities, and all the universities should choose their best people for the world government. An education minister should be a man who really understands education and who can bring new forms of education into the world. Many departments of government will have to disappear, there will be no need. For example, the defense ministry — defense against whom? The universities could choose the most meritorious people — the Nobel prize winners, the great vice-chancellors, the great artists, the painters, the poets. There could be a different kind of government which is not dependent on the vote of a sleepy humanity, of those who don’t know what they are doing. And we can make this world really a Garden of Eden. Adam and Eve will not have to go back to the Garden of Eden. And one day you will hear a knock on the door — God wants to come in! Because you have managed to create a far better garden than his old one. But we can keep that garden too, as a museum piece. Naturally, Raman Maharshi, Meher Baba, Gurdjieff, Krishnamurti belong to a different category. I belong to my own category. There is no category to which I can belong; I have to create my category. Naturally they are all against me because I am going to take away all their powers, all their conspiracies against humanity. Naturally, they are together against me. And they are a little puzzled: what to do with a single man? It looks awkward to them also. All the governments of the world, all the religions of the world have to decide against a single individual. Certainly that single individual must have something significant; otherwise there would be no need of so much fear, paranoia. I am for man’s spiritual growth, but I understand spiritual growth in its whole context. It is not something separate, one dimensional; it is a multi-dimensional phenomenon. It needs a revolution in society. It needs a revolution in society’s economic, political structures; it needs a tremendous and radical change in everything that has been dominating us up to now. We have to create a discontinuity with the past. Only then a new man — a really spiritual man, a man of cosmic dimensions — can be born. I am certainly blessed because I am the first who is opposed by all. This situation has never happened before, and will never happen again. And you are also blessed because you are fellow travelers with a man who is not just an old dead saint, a goody-goody. I want you to be the very salt of the earth. Too many goody-goody saints have created so much diabetes. We need a different kind of saintliness. I have called that different kind of saint Zorba the Buddha. Always remember, whatsoever I say to you, you can take it in two ways. You can simply take it on my authority, ‚Because I say so, it must be true‘ — then you will suffer, then you will not grow. Whatsoever I say, listen to it, try to understand it, implement it in your life, see how it works, and then come to your own conclusions. They may be the same, they may not be. They can never be exactly the same because you have a different personality, a unique being. Whatsoever I am saying is my own. It is bound to be in deep ways rooted in me. You may come to similar conclusions, but they cannot be exactly the same. So my conclusions should not be made your conclusions. You should try to understand me, you should try to learn, but you should not collect knowledge from me, you should not collect conclusions from me. Then your mind-body will grow. My message is not a doctrine, not a philosophy. 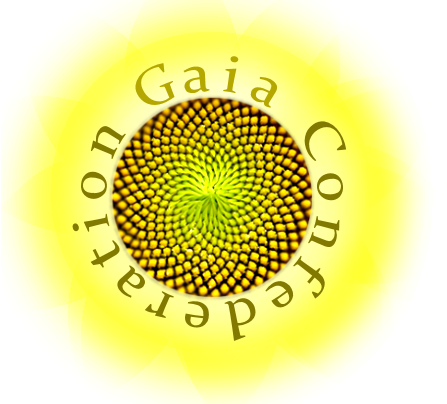 My message is a certain alchemy, a science of transformation.